For many business leaders, the ability to handle crisis often means the difference between failure and success. Fortunately, those problems are mostly internal. But, what happens when hundreds of companies rely on your expertise to manage critical projects, improve bottom-line results and provide outsourced accounting and HR assistance? Welcome to the world of outsourced accounting. For Jennifer Barnes, CEO and Co-Founder of Pro Back Office LLC (PBO) being integral to multiple businesses simultaneously is just another day at the office. Mrs. Barnes has a well-rounded background, as evidenced by her considerable academic distinctions, including an MBA from San Diego State University, an undergraduate degree in Finance and Marketing from the University of Arizona, a degree in Accounting from Liberty University and has completed the Becker CPA courses and testing. Her curious, open-minded outlook helped Mrs. Barnes realize the need for a flexible, robust outsourcing solution in the San Diego area. Like many successful entrepreneurs, she realized a problem existed, and then went about working on a solution. In a nutshell, that’s the story behind Pro Back Office LLC. Mrs. Barnes cites PBO’s wide-ranging client services menu, with a broad assortment of professional services. “In many ways, my varied educational background along with my upbringing was an ideal fit to create an outsourced accounting company,” Mrs. Barnes noted. “My exposure to a diverse range of various clients over years helps me understand what a customer wants, and just as important, what does our team want”. Pro Back Office LLC services various types of companies, from start-ups to $40+ million and in every type of industry. “If I hadn’t taken the path I chose in school and decided to start consulting at a young age and been fortunate enough to have some amazing mentors, it would be very difficult to successfully manage PBO’s customer requirements and our growth”. One of Mrs. Barnes’ secrets to success, both personally and professionally, is paying attention to what people want. “Many times, we must know a client’s business better than the client, but our ideas aren’t always going to be what the customer wants,” said Mrs. Barnes. “At PBO, we’re interested in finding a solution for our clients that makes sense financially and helps them accomplish their personal goals”. Persistent excellence in her field has led to professional recognition. In 2015, Mrs. Barnes was named one of the most influential business leaders in the greater San Diego area. Earlier this year, she earned a spot on the SD METRO 40 Under 40 Awards, a list of San Diego County’s most promising up-and-coming professionals. The 40 Under 40 recognition spotlights civic leaders, executives and community contributors around San Diego who possess outstanding leadership qualities, impressive achievements and a bright future – all qualities that describe Mrs. Barnes. Of particular interest to Women in Business & Industry readers, Mrs. Barnes has been shortlisted as a finalist for the 2014, 2015 and 2016 San Diego Business Journal’s Women Who Mean Business award, one of the most prestigious commerce honors in Southern California. Outside of the office, Mrs. Barnes takes an active role in the greater San Diego community. 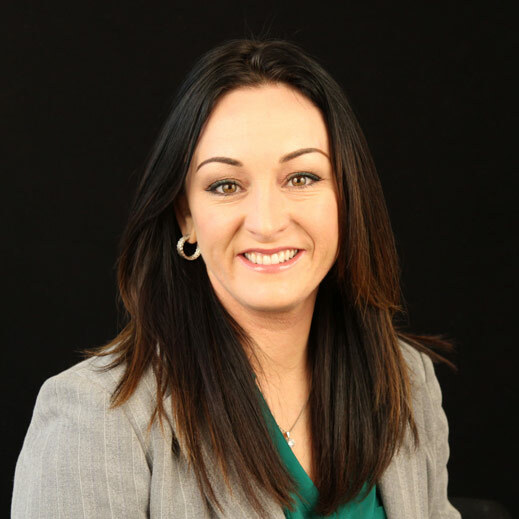 She is on the leadership council of the San Diego Food Bank, is involved with both the Lavin Entrepreneurship Program and the MIT Wine Social Committee, sits on the board of the Junior Achievement Young Executives Board, The Business Executives Council and the San Diego Better Business Bureau. She is dedicated to helping as many non-profit organizations as her time allows. So how does an accomplished business executive like Jennifer Barnes spend her downtime? Family keeps her busy – she’s married and has numerous nieces and nephews – and she also has a passion for snowboarding. “When it’s time to have fun, nothing beats snowboarding down a mountain at 40 mph – so I’ll gladly trade my ledger sheets for actual ledges (on a good powder day that is),” said Mrs. Barnes with a smile.